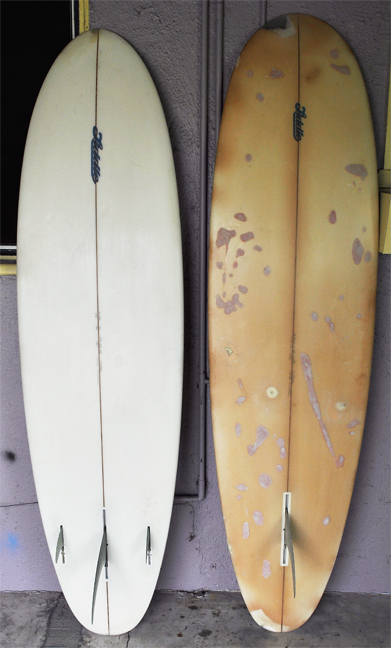 "I own these two boards you made and I would like to know exactly what planshapes they are. I hope the pictures are too junky. Both made in the same year but one is incredibly beat up..."